2. The question is unfit for use. NPS measures intention not behaviour. Market researchers globally now accept that a customer’s intentions are not always accurate predictors of their behaviours. Contextual conditions often get in the way. For example, I may want to recommend a particular model of car to my friend, but I don’t do so because I know it would be too expensive for him. Do a web search on the link between intention and behaviour if you don’t believe me. 3. The clustering rule is wholly arbitrary. In NPS, 0-6 are deemed to be Detractors; 7-8 are Passives; 9-10 are Promoters. Why? Why not, say, cluster the groups are follows: 0-4; 5-7, 8-10? Are customers who score 7 or 8 really Passive, when they are at the more ‘likely to recommend’ end of the scale? Are customers who are at the midpoint of an 11-point scale (i.e. at point 5) really likely to be Detractors, that is, to speak negatively about the brand? 4. The NPS score is meaningless. The same NPS can be reached in different ways, and therefore reflects different market place conditions. Take the NPS of +20, for example. This score could be achieved by a number of splits, including the following: 60% Promoters/40% Detractors; or 30% Promoters/60% Passives/10% Detractors; or 50% Promoters/20% Passives/30% Detractors. In other words, a single score can mean different things. 5. NPS is not actionable. 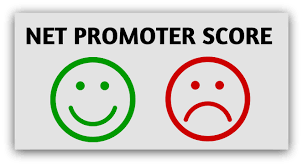 Let’s say your brand has a NPS score of -10, telling you that there are more Detractors than Promoters. So what? What action can you take? The score tells you nothing about how you fare against competitors and gives no guidance about the actions you could take to close the gap. Are you too expensive? Is quality too low? Is there some important element of customer experience that is unloved? Does the product not do as promised? Is after-sales service sub-standard? NPS as a single stat gives no guidance for action. If you can’t act on the measure, why would you bother measuring at all? Posted in: customer experience management CXM, customer relationship management CRM, marketing management MM, word of mouth WOM. Good point, Fabrice. NPS has its origins in the USA and like some other American management ideas doesn’t always transfer well into other cultures. NPS has become massively successful and widely adopted but there are still important concerns that remain unresolved. Please feel free to translate the blog into French. I might even understand some of it, having studied la belle langue for 7 years., so please send me a copy. Another limit for NPS is the cultural biais. NPS seems to be designed for US sales guy where “fantastic” is an unsatisfied Customer. Australian people, to my knowledge, are a bit more nuanced. German probably even more ! Last question: would you allow me to translate your article in French and cite you as the original author. I find you share light on something that is everywhere and which few understands.